Building and maintaining trust is critical to being effective in a leadership role. 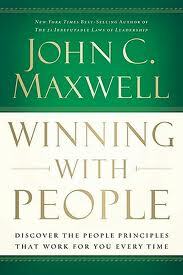 In his book Winning with People, John Maxwell suggests five principles for building mutual trust. The Bedrock Principle: Trust is the foundation of any relationship. The Situation Principle: Never let the situation mean more than the relationship. The Bob Principle: When Bob has a problem with everyone, Bob is usually the problem. The Approachability Problem: Being at ease with ourselves helps others be at ease with us. The Foxhole Principle: When preparing for battle, dig a hole big enough for two.